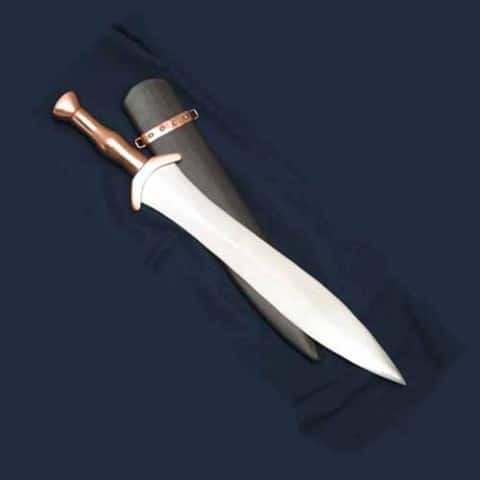 Potent close combat short sword worn by the Spartan Army. Superbly tough just like the warriors that used it. 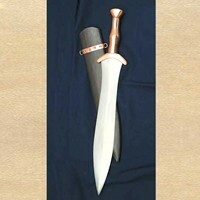 Leaf shaped blade 36.5cm x 5.5cm wide. 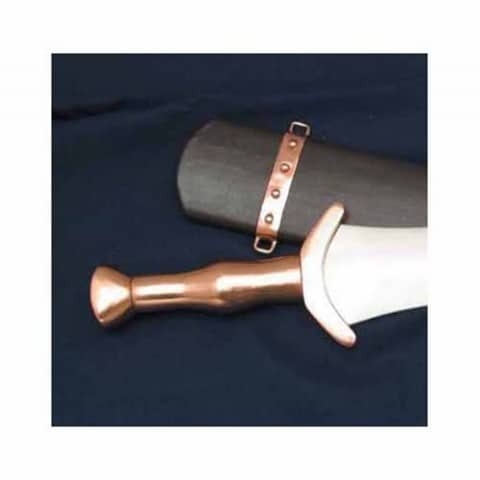 Leather covered wooden scabbard with bronze fitting. A must for the collection. One of the best.